Dog owners have been told to keep their animals on a lead or under close control when ponies, cattle and sheep are returned to an area of heathland in East Sussex. Sheep were removed from Chailey Common last year after eight were killed in separate attacks by dogs. East Sussex County Council (ESCC) said grazing by livestock was the only way to save the historic heathland. 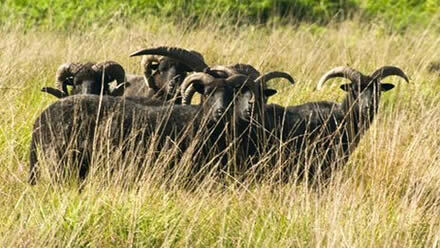 Hebridean sheep, Sussex cattle and Exmoor ponies are to be returned to the land in April. The five commons which make up Chailey Common nature reserve at North Chailey were fenced following a public inquiry in 2009, with grazing introduced last year. When livestock returns to the heathland there will be improved signage and volunteers will monitor dog behaviour. More rams will be introduced, along with more cattle and ponies. Grazing was a traditional feature of heathland habitats such as Chailey Common, and has been reintroduced to halt the encroachment of invasive trees and plants. 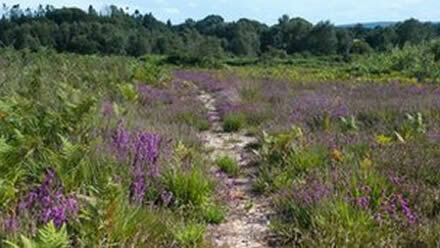 Chailey is one of the largest open heathlands remaining in Sussex and the only significant fragment in the Low Weald. "Experts from Natural England advise grazing is the best way of sensitively managing the site for wildlife and opening up more of the common for walkers and horse riders," said John Smith, chairman of Chailey Common Management Committee. "Heathland is a very scarce, diminishing resource. "Without action now it will be lost forever, and if you lose the heathland, you lose all the wildlife which goes with it."